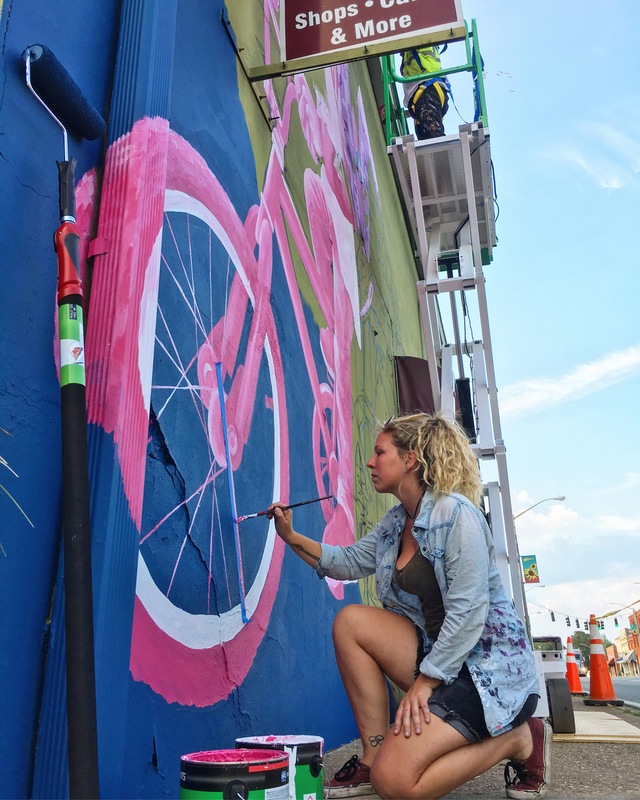 FSU Art BFA ’19 Sarah Painter was recently awarded two grants for separate projects throughout Florida. 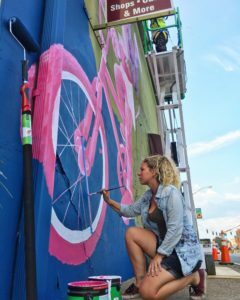 Florida Main Street sponsored her mural in Havana, on a large wall approximately 20 feet high and 50 feet long. Another mural in Melbourne, Florida was awarded by the Florida Division of Cultural Affairs. 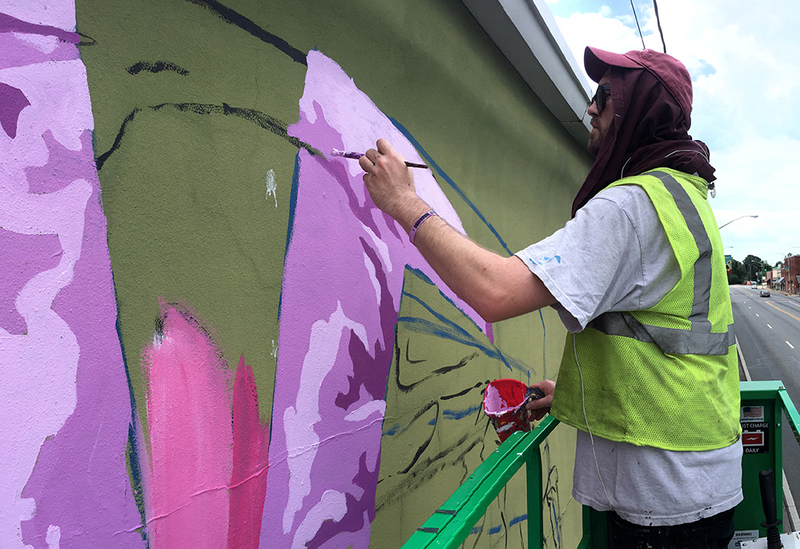 Both murals are being painted alongside FSU Art BFA ’14 Cosby Hayes. The Havana mural is underway and the Melbourne mural is soon to be started, both are to be completed by the end of July.